Most Americans now have more choices when it comes to food than any other group of people in the history of the world. We are so, so lucky to live in a time and place when we get to choose between feasting on fresh vegetables from the farmer’s market… and ordering a meat lover’s pizza delivered right to our door. With such a ridiculous abundance of options, how do we actually decide what’s for dinner? 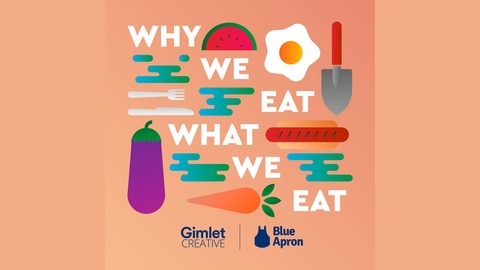 On Why We Eat What We Eat, host Cathy Erway investigates the unseen forces that shape our eating habits. We’ll tackle a kale conspiracy, how to get your kids to quit being so picky, visiting the epicenter of the potluck scene, and more. 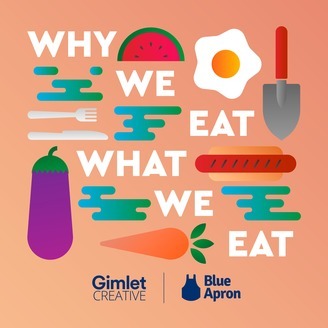 Brought to you by Blue Apron and Gimlet Creative.